After making threats to injure Blizzard employees, a California man was arrested and indicted. No matter how upset you are over a game or how it's being run, making threats to the developer of said game is not a good idea, as one California man learned this month. 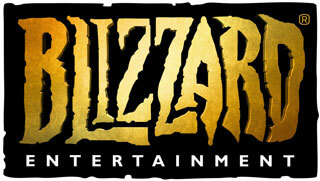 According to a press release from the US Attorney's Office for the Eastern District of California, 28-year-old Stephen Cebula of Sacramento, CA was indicted by a federal grand jury yesterday for making threats against Blizzard employees. "According to court documents, between July 2, 2016, and July 3, 2016, Cebula transmitted messages over the internet to Blizzard Entertainment, in which he stated that he 'may or may not pay [Blizzard] a visit with an AK47 amongst some other 'fun' tools,' and 'might be inclined to 'cause a disturbance' at [Blizzard's] headquarters in California with an AK47 and a few other 'opportunistic tools.'" Celbula remains in custody after being arrested on July 12, and will be arraigned July 26. If convicted, he could face up to five years in prison and a $250,000 fine.